It’s almost a month before summertime officially begins. Although the days are getting longer and the sun is making an appearance every now and then, it is still too cold for some to really enjoy the beautiful outdoors. With this in mind and with the help of some very creative and talented DIY Bloggers, we wanted to present you with some DIY projects that will bring a touch of the beautiful outdoors into any room and warm up your living space. Brittni from Paper & Stitch has a few tutorials on her blog that use fresh flowers, and this flower framed mirror really caught our attention. 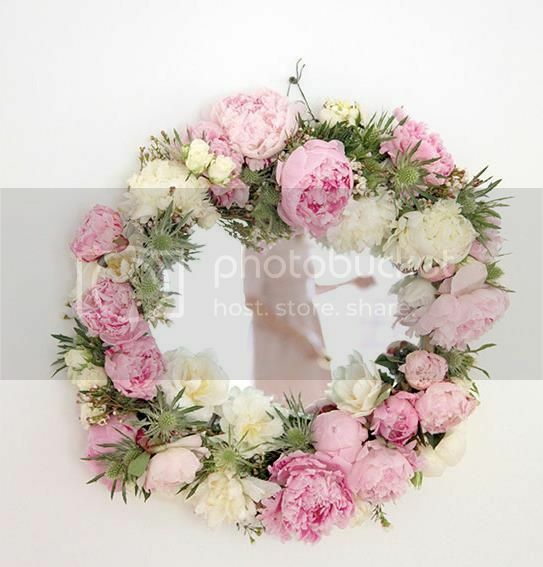 It would look good in any room and nothing will have you looking forward to spring as much as fresh flowers in your home. 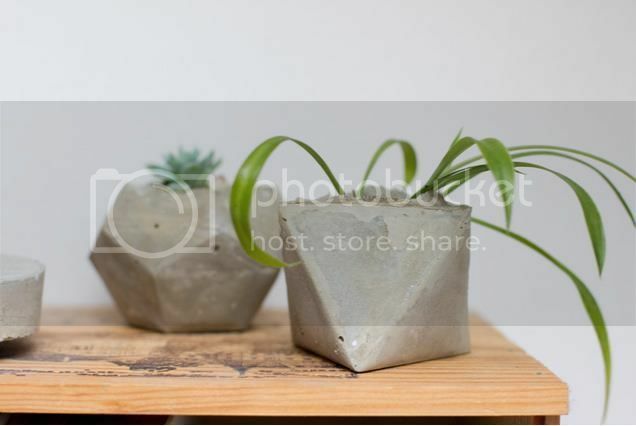 If you love pots and planters and keep looking for innovative ways to display your plants in eye-catching ways, have a go at creating geometrical concrete planters. They would look great on shelves or windowsills! 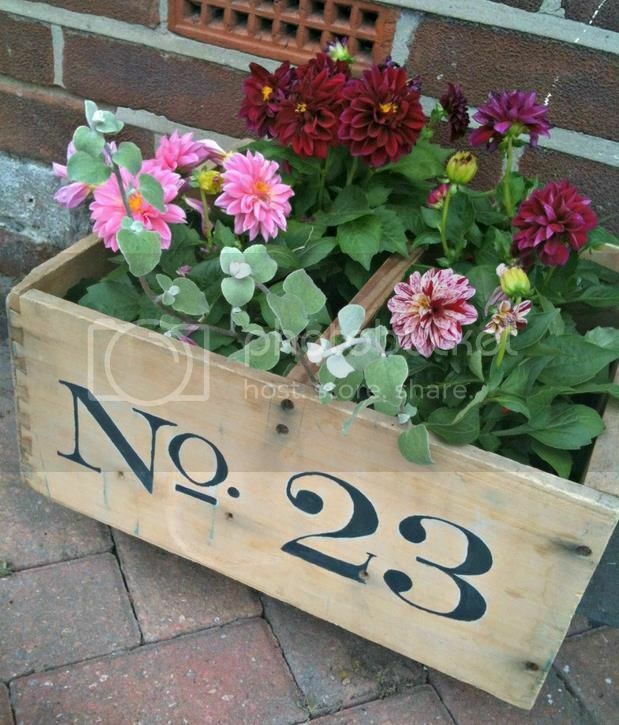 Do you have an old wooden crate lying around that’s taking up space? If you do, have a look at Antonia’s innovative take on personalising crates on her blog Tidy Away Today. We think they would look particularly nice by a front door! “I’m planning to try a fresh new wall colour in our living room, however just switching round accessories, bringing in some fresh flowers and changing the cushions to something more spring-like can really reinvigorate a room for the new season.” Antonia says on decorating her house for spring. We also asked Antonia what do she thinks is going to be a big DIY Trend this spring: “I think the ‘global’ or ‘world traveller’ look is going to be a key trend, with patterns such as Aztec and Ikat, deep blues and mustard yellows plus metallic accessories such as gold and copper for an eclectic look.” Blues and mustard are our current favourites too so we are looking forward to seeing more of these! Thanks to the lovely bloggers for sharing their projects with us. Do you have any DIY projects this spring? We would love to hear about your ideas!